You are here: Home / Weight Loss Advice / Does Garcinia Cambogia Work? 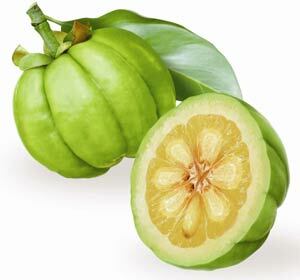 What is garcinia cambogia and does it work? Garcinia cambogia is the latest thing to be taking the weight loss world by storm. Just because there are a ton of ads listing promises of rapid weight loss and it has even been featured on Dr. Oz doesn’t mean you should race to spend your money on it. A better approach is to learn a little about what people claim is can do, what it’s been shown to do in clinical trials and who should be taking it. Once you have the facts, you can make an informed decision. One of the things that makes deciding whether or not to take Garcinia Cambogia difficult is what people claim it will do. Does that match what science has proven it can do? Is this supplement may not be the right choice for you when it comes to reaching your weight loss goal or will different people have different results? Here is some information to help you be an informed and safe consumer. It has been shown to help block fat absorption and is indicated that it may assist the lipolysis process. Lipolysis is where excess lipids (fat) in the blood stream are removed from the body so they cannot form fatty deposits on the arterial walls. It has been conclusive proven that garcinia cambogia helps to manage blood sugar levels. The management of these levels can help to control appetite and allow for a better metabolism of sugar in the body leading to more fat burning. One of the compounds made in the plant, hydroxycitric acid (HCA), has been found to increase endurance in women engaged in exercise. Increased endurance leads to more fat loss as well. What are the pros of taking garcinia cambogia for weight loss? For one, gardenia cambogia is a natural substance. The supplement is derived from the rind of a plant. As more and more people are discovering they have sensitivities to synthetic weight loss supplements, this can be an ideal way to avoid a reaction. The dosing (the amount taken) is also low and the supplement is far more affordable than many others on the market. Most importantly, there is no known indication that it will interact with any of medications or supplements in a harmful way (speak to your doctor about it before taking any supplement). It also does not cause the energy crash common to other stimulant supplements that rely on additional effect from caffeine or sugars. What are the cons of taking garcinia cambogia for weight loss? When taken in too high a dose, people have reported headaches and nausea. There is also a risk that too high a dose may have the adverse effect of making you more tired, rather than energizing you. This is a result of the blood sugar interaction pushing your levels too low. Also, as much as the ads for gardenia cambogia would have you believe all you have to do is take the supplement to lose weight. Not true. Without supporting diet and lifestyle changes you will not experience the weight loss that you hope to achieve. Garcinia Cambogia should be seen as one tool to be used to help you reach your goals; not a miracle pill. Garcinia cambogia should not be taken by anyone currently taking medication to manage their blood sugar levels as it could push the levels too low. You should also not take this supplement if you are pregnant or breast feeding as too little information is known about how it may affect a developing child. Also, those with a history of eating disorders, body dysmorphic or dieting are asked to avoid taking garcinia cambogia as it may cause symptoms of those disorders to reoccur. Are the Green Tea for Weight Loss Claims True? Great article. Are there any other diet pills that might have a similar effect? I want to know of the good and bad of various diet pills. I’ve used diet pills in the past and I think they’re most helpful when you’ve hit a plateau in your weight loss goals.